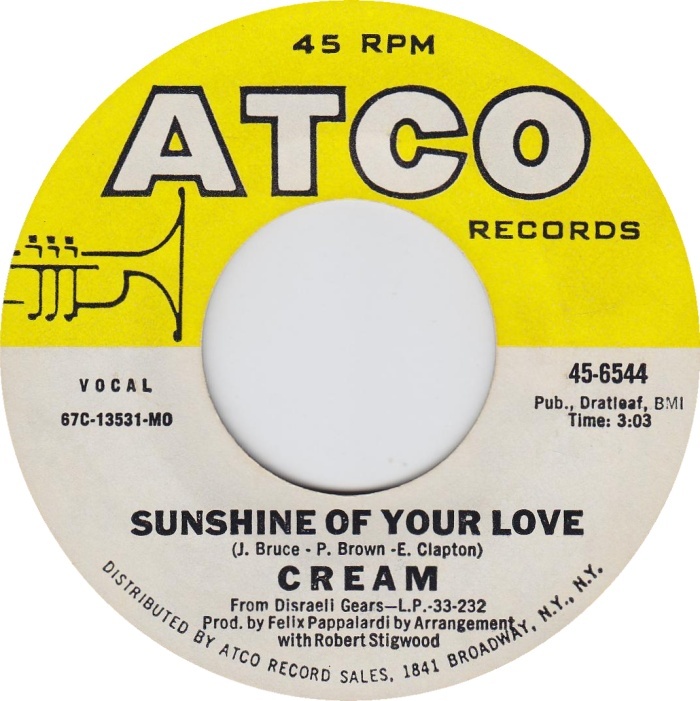 Today’s Jukebox classic was the biggest hit single by classic rock supergroup Cream. While some were spray painting the buildings of England with proclamations that Eric Clapton was God, the real star of Cream was the late, great bassist Jack Bruce. Not only was Bruce the songwriter behind some of the group’s biggest hits, but it was his voice that defined the group’s sound. Ginger Baker, of course, laid down the backbeat that drove the machine to greatness, and as for Clapton, he’s been literally coasting on the stellar guitar work he laid down with this group over 40 years ago. Cream never made a solid studio album, and even so, the band’s studio recordings are far more preferable than their live workouts that featured endless jamming extended to maddening proportions. Even though albums like Disraeli Gears, Fresh Cream and the half studio-half live Wheels Of Fire are considered classics today, they really are patchy affairs, each featuring a clutch of classic singles surrounded by throwaways. The record almost didn’t get a single release because Atco label chief Ahmet Ertegun thought that it was “psychedelic hogwash.” It was only after Booker T. Jones (of Booker T. and the MGs) championed the song that Ertegun green-lighted a single release. When the single was first released before Disraeli Gears came out, it only climbed to the #36 position on the pop charts. 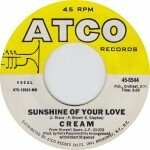 The single was re-released in 1968 after the album came out and ultimately rose to the #5 position on the pop charts becoming Cream’s biggest hit single in the states. Over the years, the songs has been covered by everyone from Ella Fitzgerald and The 5th Dimension, to Santana and Frank Zappa. Posted: March 29th, 2015 under Cream, Music, Rock.